If you’re following along over on Instagram, you’ll know that I have a serious obsession with stir-fried noodles and steamed dumplings. They are my culinary duo of choice and my most frequent craving. And 99 times out of 100, I’m satisfying that craving at Din Tai Fung (DTF), a popular eatery with international locations that has amassed a cult-like following for their fresh dim sum. While I’m a big fan of Din Tai Fung’s world-renown soup dumplings (a.k.a. xiao long bao), the chicken stir-fried noodles are an often overlooked menu item that I’m determined to bring out from behind the dumpling shadow. The noodles are big on flavor without the side of grease and guilt the typical Chinese takeout comes with. Just noodles, chicken and spinach cooked in a garlicky soy sauce. It’s simple, straightforward and seriously fresh. 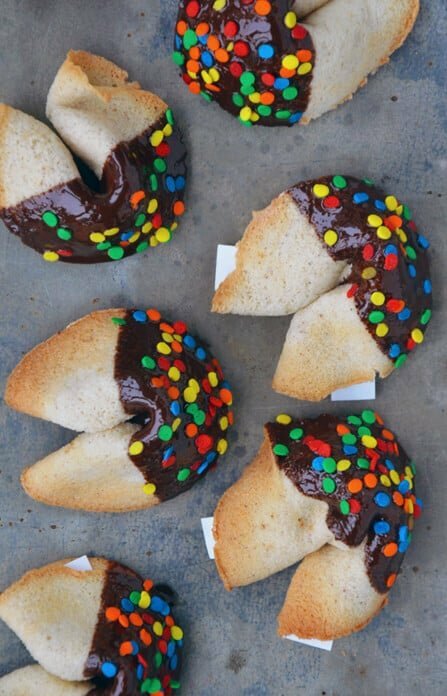 So how does one cook up an equivalent dish and avoid the 2+ hours of lines and travel that a trip to Din Tai Fung entails? Fear not! I’ve done all the research so you don’t have to. 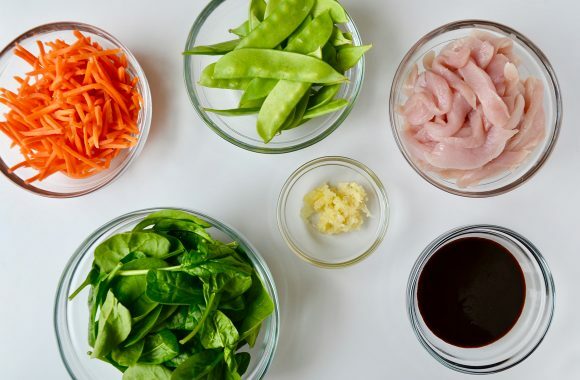 With a super-short ingredient list, and an even faster method of preparation, this Easy Chicken Lo Mein is guaranteed to become a staple on your busy weeknight menu. After creating this recipe, I shared it with my sister, who is Supermom to three beautiful girls age 3 or younger, and they slurped these noodles right up. This dish has also been on repeat at our house, as it’s quickly surpassed vodka pasta as my husband’s noodle dish of choice. 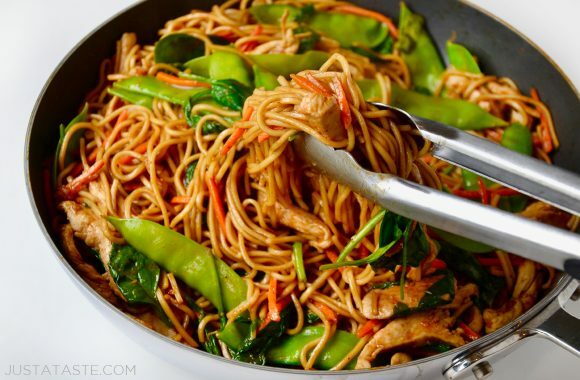 So taste buds young and old alike have determined that this chicken lo mein is a major dinner winner. Ready to toss the takeout menus? 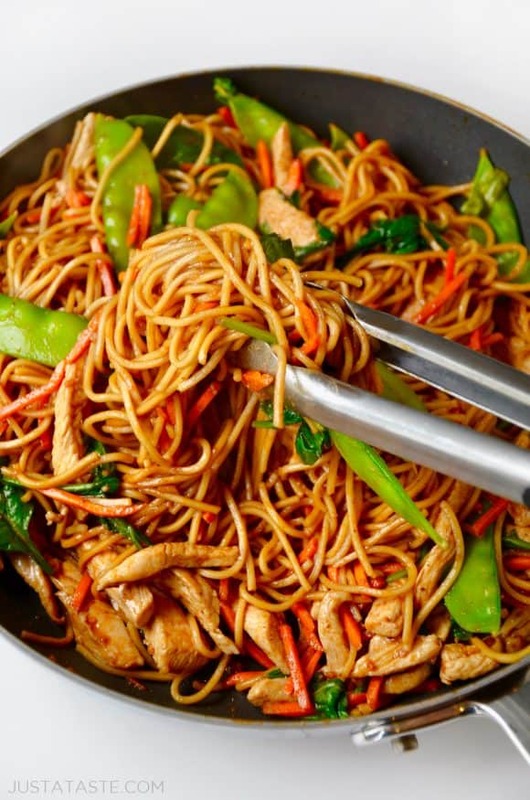 Read on for this Easy Chicken Lo Mein recipe, and then complete your homemade feast with top-rated recipes for egg rolls, potstickers, fried rice and more takeout-fakeout favorites! 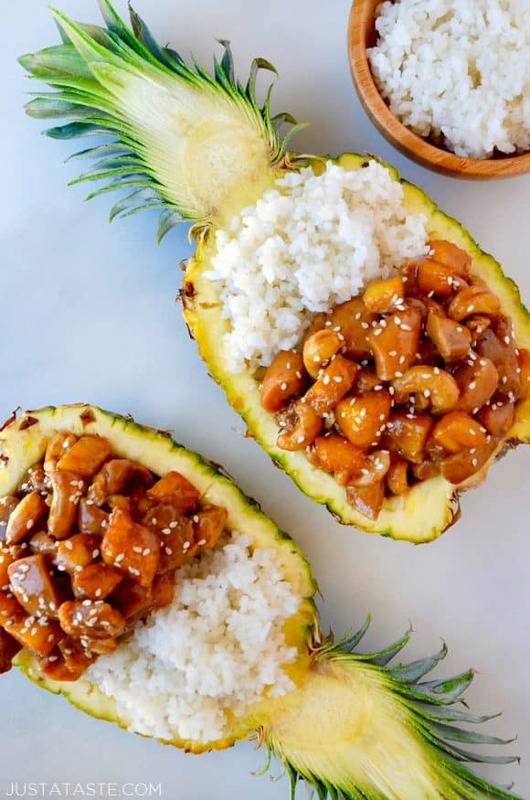 And if you’re looking for even more takeout-inspired meals, don’t miss additional easy recipes you can whip up from the comfort of your kitchen. 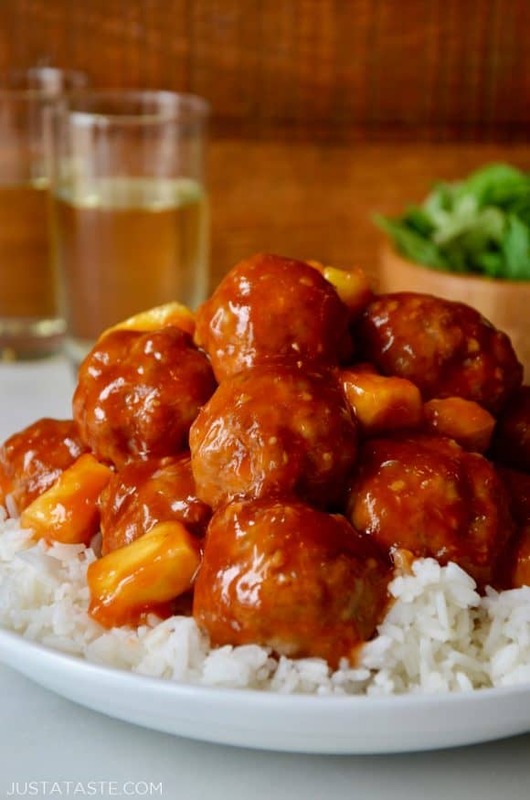 In a small bowl, whisk together the soy sauce, hoisin sauce and sesame oil. Set the sauce aside. Bring a large pot of water to a boil. Add the lo mein noodles and cook until al dente. Drain and set aside. In a large nonstick sauté pan set over medium heat, add the olive oil and sesame oil. Once hot, add the garlic and chicken and cook, stirring constantly, until the chicken is cooked through. Remove the chicken from the pan and set it aside. 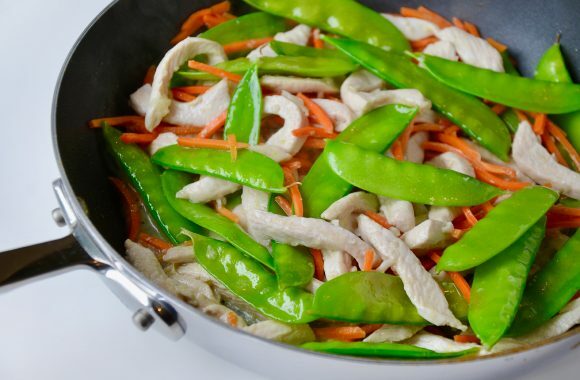 Add the carrots and snow peas to the pan and cook, stirring constantly, until the vegetables are tender, about 3 minutes. 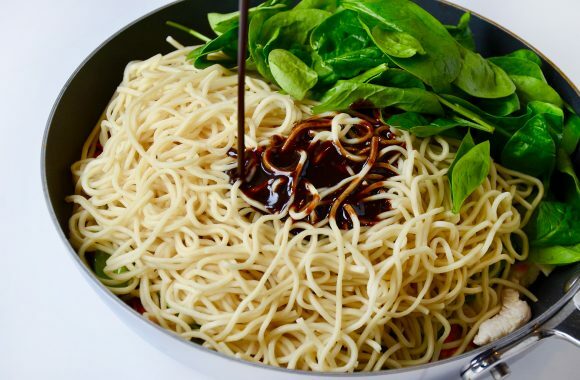 Add the spinach, cooked noodles, chicken and prepared sauce to the pan and cook, stirring, until combined and the spinach is wilted, about 2 minutes. Serve immediately. You can find lo mein noodles in the Asian foods section of most major supermarkets. 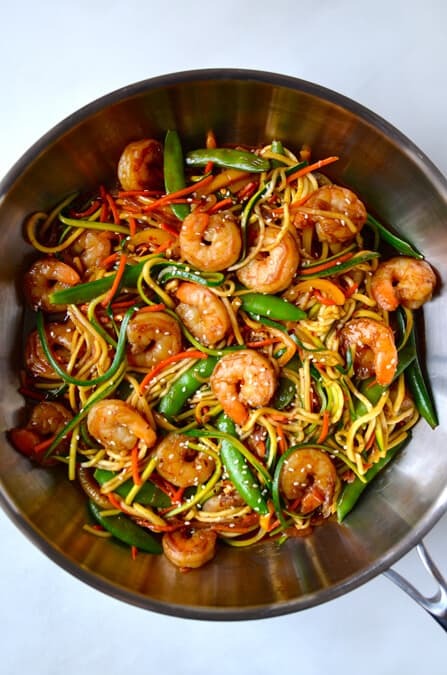 If you can’t find lo mein, you can substitute linguine or spaghetti.